July 13 (UPI) -- With a British warning for Nigeria in place, there are concerns that militancy in the oil-rich Niger Delta could upend the political climate, a researcher said. The British Foreign and Commonwealth Office issued a warning ahead of regional elections on Saturday. Travelers were warned ahead of the vote to avoid Nigerian states in the delta region. "You should expect increased political activity, including political rallies and demonstrations," the warning read. "You're advised to avoid any rallies or demonstrations." The warning comes ahead of campaign season for presidential elections in February. 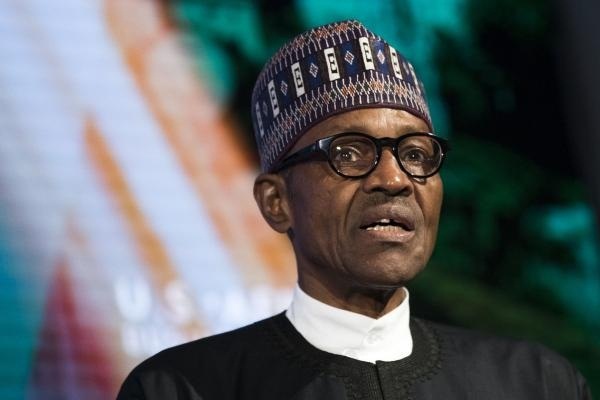 Ben Payton, the head of the Africa research program at Verisk Maplecroft, told UPI that only moderate support for the party running in opposition to Nigerian President Muhammadu Buhari could be unsettling. "The multibillion-dollar question is whether militant groups in the Niger Delta will resume their pipeline bombing campaign in an effort to hurt Buhari ahead of the elections," he said. "Some of these groups are capable of carrying out highly sophisticated attacks, and in 2016 they succeeded in slashing Nigeria's oil production by at least one third." In November, the long-dormant Niger Delta Avengers said a militant cease-fire was over and the next campaign would be "brutish, brutal and bloody." In a message from January, the militant group said it would target offshore installations in its "most deadly" campaign yet. In a warning to French energy company Total, the NDA said it was tracking the movement of the Egina floating production, storage and offloading vessel. The last time the NDA took credit for an attack of note was during the second week of November 2016 when it said its rebel forces attacked an export pipeline controlled in part by a Shell subsidiary that has the capacity to carry as much as 300,000 barrels per day. The militant group has moved in and out of dormancy since it emerged in 2016. "The threat of pipeline bombings is mitigated by the fact that militants would be risking their so-called amnesty payments should they fully abandon their ceasefire," Payton said. "A more likely scenario is that militants will carry out one or two attacks to demonstrate their continued relevance and push the government into making further concessions." Nigeria's economy emerged from recession in the second quarter of last year. Minutes published Wednesday by the Central Bank of Nigeria said the economy was steadily improving on the back of higher oil prices. Real gross domestic product for the fourth quarter was revised up from 1.92 percent to 2.11 percent. Growth in the first quarter was 1.95 percent against a 0.91 percent contraction in the same period last year. "The development was due to growth in the oil and non-oil sectors by 14.77 and 0.76 percent, respectively," bank minutes read. Nigeria is a member of the Organization of Petroleum Exporting Countries. Secondary sources reporting to OPEC economists put the June estimate for oil production at 1.66 million barrels per day. First quarter production averaged 1.78 million barrels per day.